â? ?We've hosted field trips at the studio for 22 years, and we love them! The kids always have a great time, and they create a keepsake parents will love. 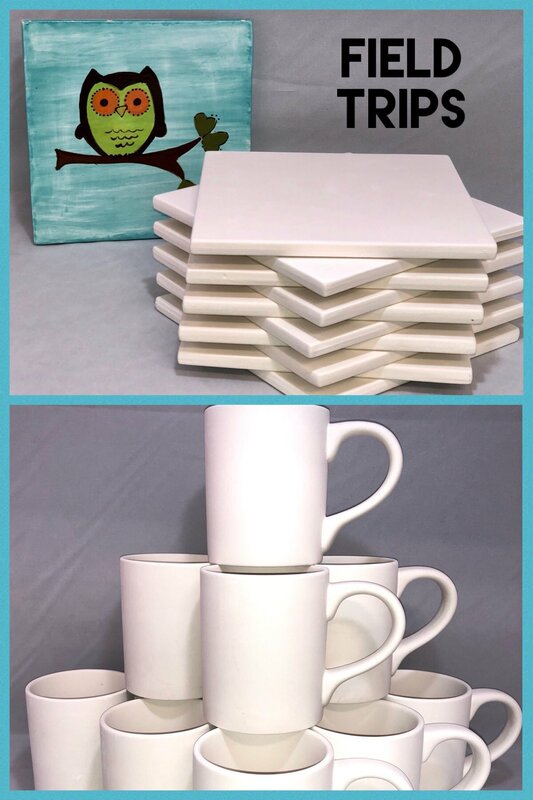 Choose either the Mug Field Trip Package or 6" Trivet Field Trip Package. The event time is one hour. Each painter receives our 8 most popular colors. Pay as a group & pick up as a group in one week. Each piece will be individually bagged with the painter's name. Please bring a copy of your school's tax exempt / non profit letter on the day of the event.